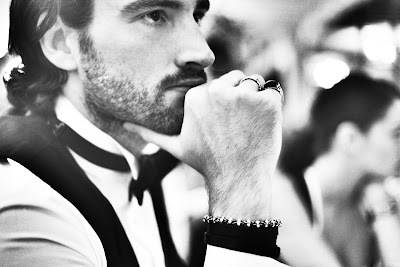 Maketh-The-Man started as a blog showcasing men's accessories and jewellery by Callum Watt (pictured above). It features men's accessories from around the globe ranging from jewellery, bags, belts, scarves, hats and anything else that can embellish a man's outfit. Whilst the award winning blog is still going strong, we have now started our own exclusive unisex jewellery range. The collection brings together our love for taxidermy and jewellery to create our bug inspired designs.